CAMP GRAFTON TRAINING CENTER – Members of the 61st Officer Candidate School class officially joined the North Dakota Army National Guard’s officer ranks during a graduation ceremony on Aug. 18 at the 164th Regiment Regional Training Institute. Seven soldiers were awarded diplomas for completing the intensive officer training program, which is administered by staff and cadre from the RTI’s 2nd Training Battalion (Modular) at Camp Grafton Training Center, near Devils Lake. The 2nd Training Battalion’s (Modular) 61st OCS graduating class includes (* indicates acceptance of commission): *Gerald Bond, Minot; Daniel Carpenter, Bismarck; Mitchell Evink, Moorhead, Minnesota; *Toby Kuhn, Mandan; *Christopher Roach, Fargo; Timothy Simmons, Mandan; and *Evan Thomas, Felton, Minnesota. “You are a special group that has an awesome responsibility of leading within the North Dakota National Guard. Trust your training and empower your subordinates to allow them to perform to the best of their abilities,” said Maj. Gen. Al Dohrmann, North Dakota adjutant general, while addressing the OCS graduates. Officer candidates may elect to defer their commission upon graduating OCS, dependent on personal preference or the availability of an officer position within a unit. Four graduates of this OCS Class accepted their commissions as second lieutenants. They will now go on to lead platoons in Guard units across the state. Keynote speaker for the event, Col. James Olson, commander for the Bismarck-based 68th Troop Command, rendered remarks and offered advice to the graduates. Olson began his military career in 1986 when he enlisted into the 164th Engineer Battalion as a unit armorer. He received his military commission through the Reserve Officers Training Corps program at North Dakota State University in 1990. Dohrmann later presented the graduates with their diplomas, while Brig. Gen. Robert Fode, N.D. National Guard Army Component commander, administered the oath of office to the newest second lieutenants in the state. 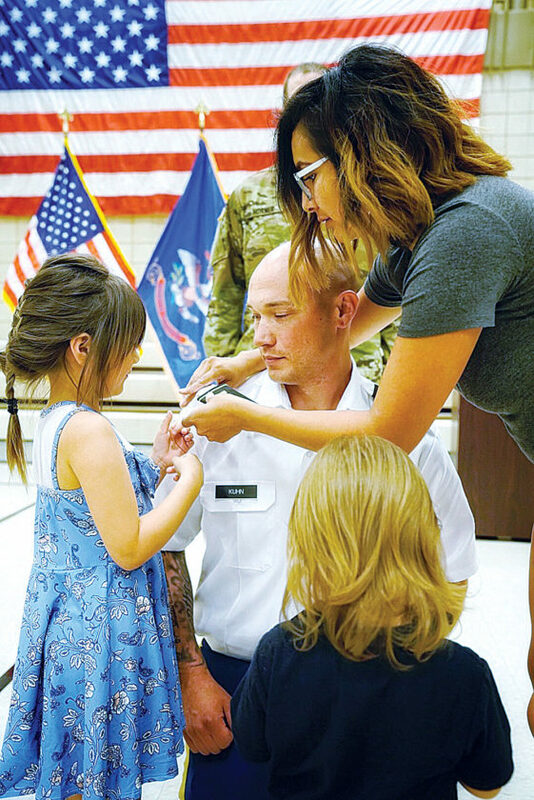 Lt. Col. Walyn Vannurden, commander of the RTI’s 2nd Training Battalion, presided over the “Pinning Ceremony,” where the new officers donned their gold-colored second lieutenant bars. The graduates were joined by family and friends during the ceremony. Three of the soldiers who graduated from OCS pursued their commissions by attending a three-phased, eight-week accelerated, or “Fast Track,” course at Fort McClellan, Alabama. OCS students also have the option to participate in a traditional course, which is spread out over 16-19 months during Guard training weekends with two additional two-week training periods. Other sources of officer commissioning are available through North Dakota’s ROTC program with locations at the University of North Dakota, North Dakota State University, Minnesota State University Moorhead and Concordia College-Moorhead. North Dakota has been training officers since 1957. The program’s mission is to create leaders who are mentored, trained and empowered and essential to the Guard’s three-pronged mission of supporting communities, the state and the nation. 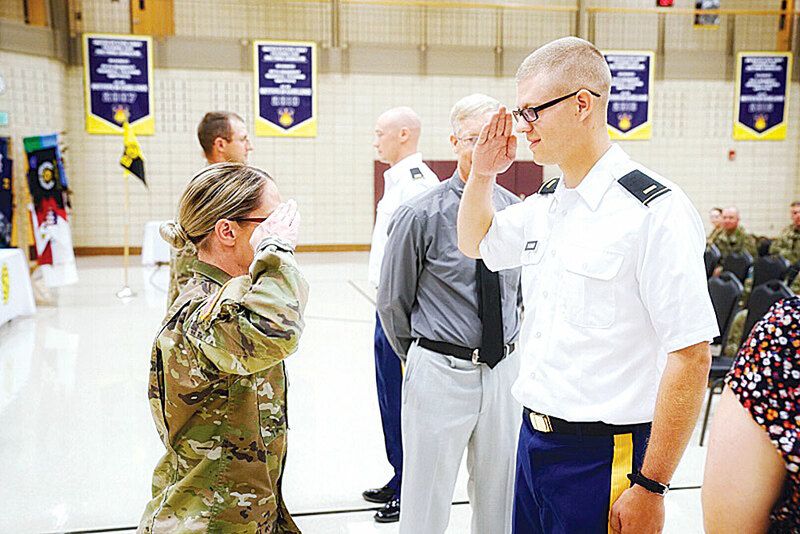 To date, the North Dakota OCS program has graduated more than 1,400 soldiers.